Phantogram debuted a bunch of new material at their Hollywood Bowl show last night & it was all SO good! Unfortunately, Black Out Days is the only new track of theirs currently available on Youtube so here is just a taste to get your Phantogram juices flowin'. 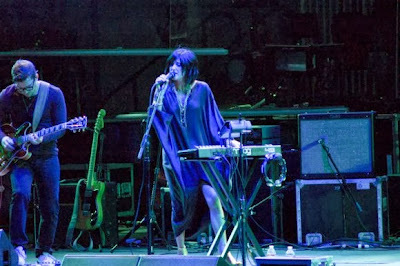 Stay tuned for my official Phantogram & M83 Bowl show post later this week. I should have it up by Wednesday at the latest. What an unbelievable show!